I am approaching completion of my third week on a gluten free diet and of course the challenges of avoidance and language barriers are still continuous. I went to a local vegetarian restaurant with my local friend earlier in the week. I figured that having him with me would ensure my safety since he was able to elaborately communicate my dietary need to the host. We sat and ate, I got a fake tofu meat of sorts, only to find out later in the meal from another friend that this consisted primarily of gluten! No wonder I had previously avoided local eating establishments, even with Cantonese speaking skills the idea of eating gluten free is so foreign to many locals that it is literally untranslatable. If I were to actually have celiac disease, I might have anticipated falling heavily ill for at least a day from such misunderstandings! Another observation I had this week was that I was much more prone to experience social pressure to consume gluten in small treats as opposed to larger meals. The first time I experienced this was when meeting with a student's parents for a parent teacher conference. We met for coffee and one of the mothers presented me with cookies. It was very difficult to explain that I had an allergy and couldn't accept. This occurred a second time at work, when a few colleagues were sharing some mushroom crisps from Taiwan which had wheat in their seasoning. I felt it particularly rude in both cases to say no to the offerings, which were in many ways a form of gift giving. It is particularly rude not accept a gift, and potentially disadvantageous career wise. Next week should be interesting as I am going on a trip to the UK starting Thursday. I will be putting my diet on a hiatus. I know this is a luxury, but I hope to take this time to further reflect and see how my body reacts when I readmit gluten into my diet. My trip will be for almost 2 weeks and upon return I will reconvene my gluten free diet for a month's time until completion. I will still keep updating my blog weekly, so you don't have to miss me too much. Now onto the food sharing! I have three lovely and delicious gluten free items to share with you. 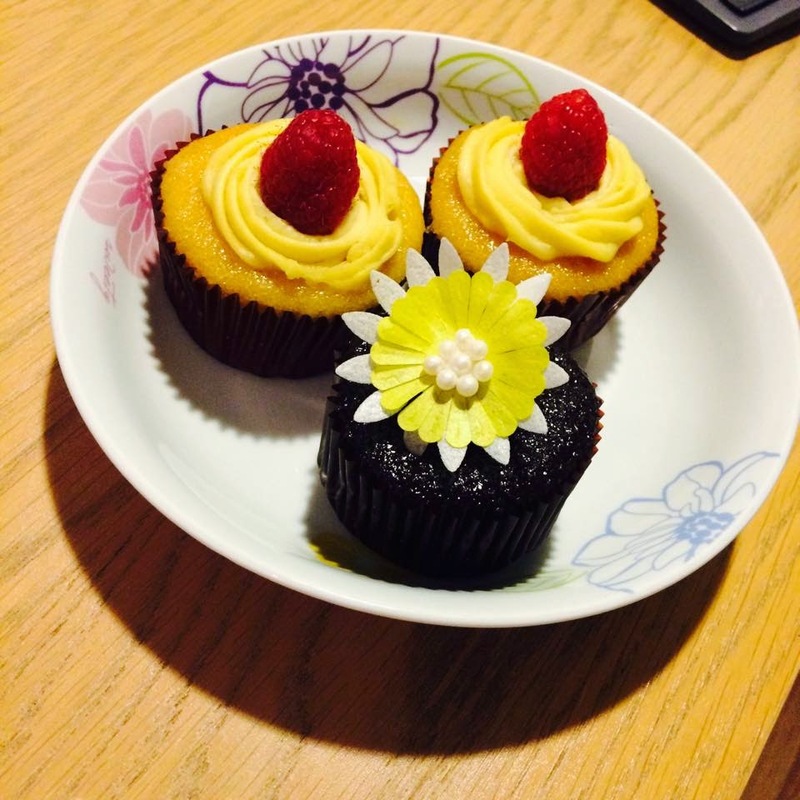 These are some delicous gluten-free cupcakes from The Cupcake Ministrel. I thoroughly enjoyed expert baker, Maria's cupcakes and tried both the vanilla and chocolate flavors, both had excellent flavor and a great moist texture. 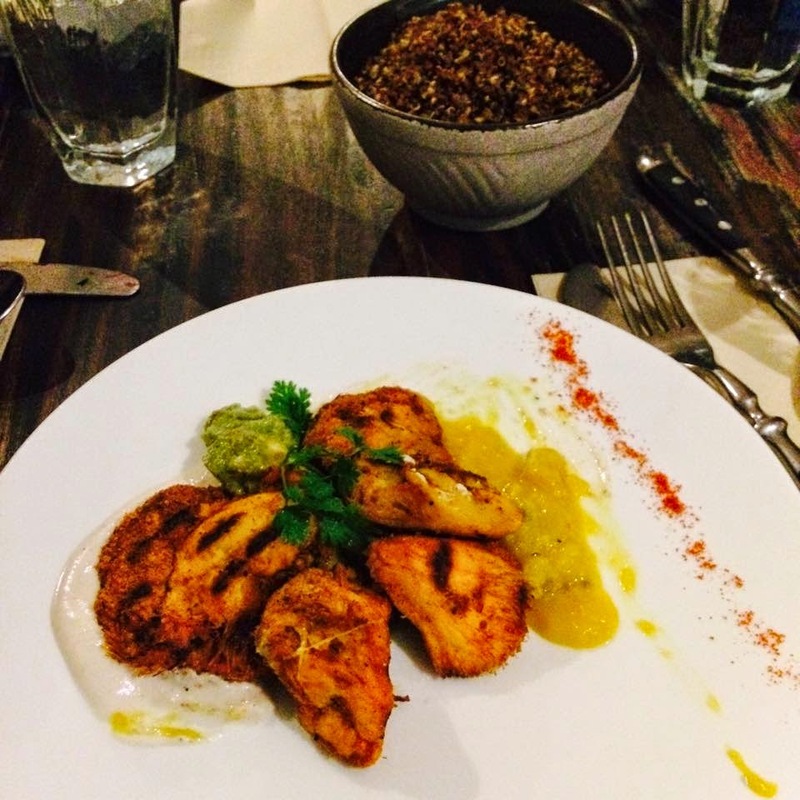 Next I would like to share Grassroots Pantry's vegetarian "Chicken" Tikka. The vegetarian version really tasted like chicken, with a complex texture. It is served with mango chutney and guacamole. Make sure to substitute the spinach naan for quinoa or rice, to stay gluten free. The staff is extremely well versed in the ins and outs of various diets whether they be vegan, vegetarian or GF. In addition to the lovely Grassroots pantry restaurant, Chef Peggy Chan has opened a cafe attached: Prune Deli. If you are looking for incredible gluten free and raw desserts, look no further. 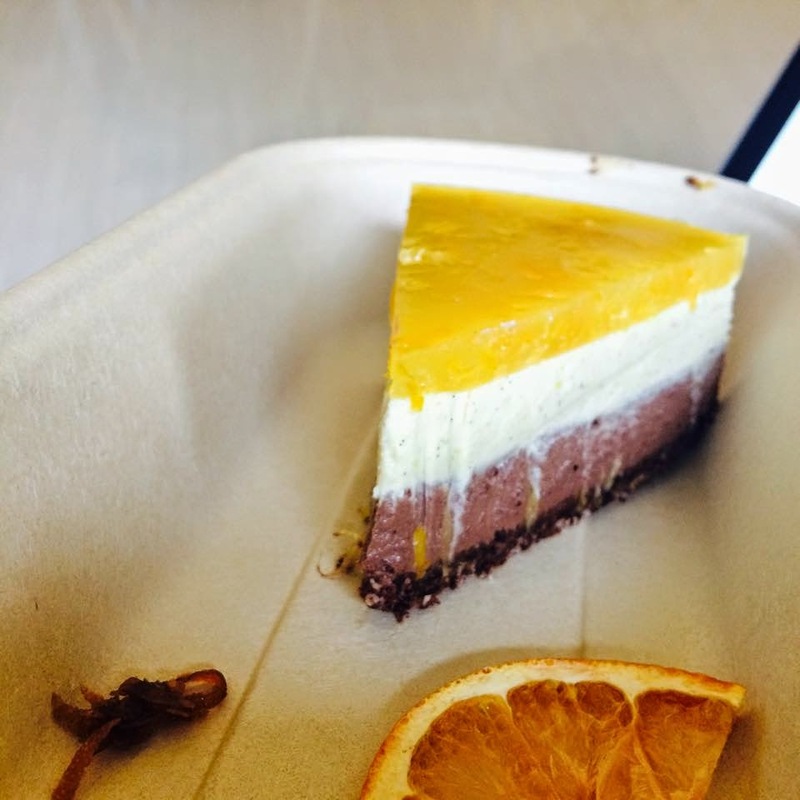 Below is the orange chocolate cake - I really enjoyed this one. That is all I have for now - See you all next week from the UK and have a great week.